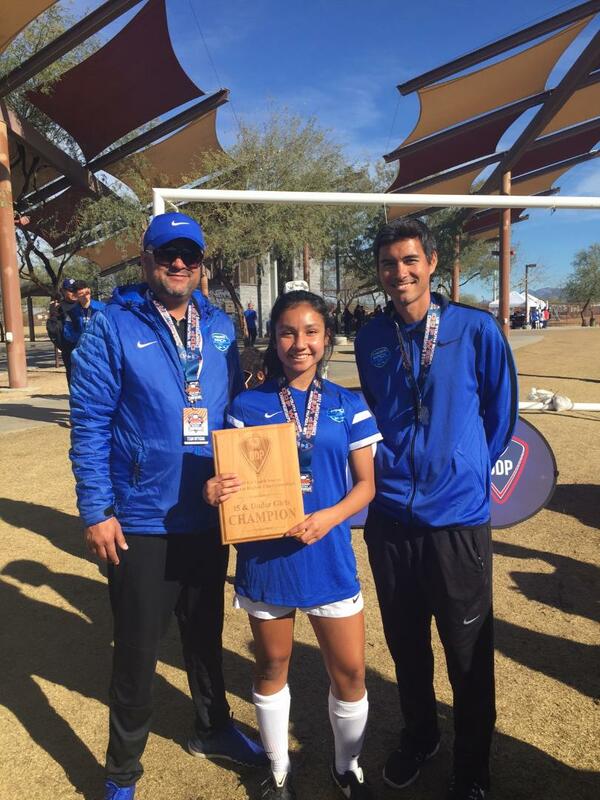 Congratulations to Alexa Garcia for her incredible achievement this past weekend! Alexa was selected to represent Cal South in the US YOUTH SOCCER FAR WEST ODP CHAMPIONSHIPS for the Girls 2004 age group. 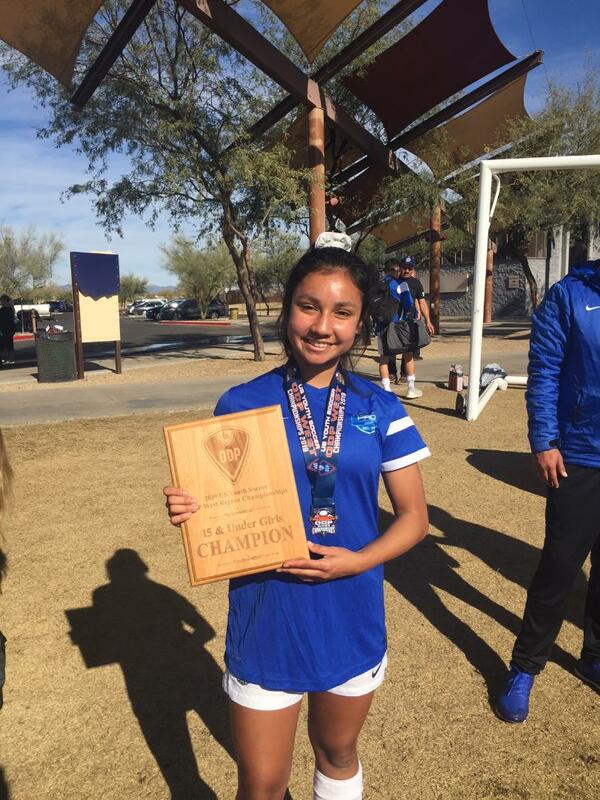 Alexa and her ODP 2004 team traveled to Phoenix (AZ) last weekend and competed against all the other states of the Far West Region. Alexa and her team went 4-0 for the weekend, beating Arizona (6-0), Northern Nevada (5-0), Hawaii (1-0) and Washington in the final game (3-1). 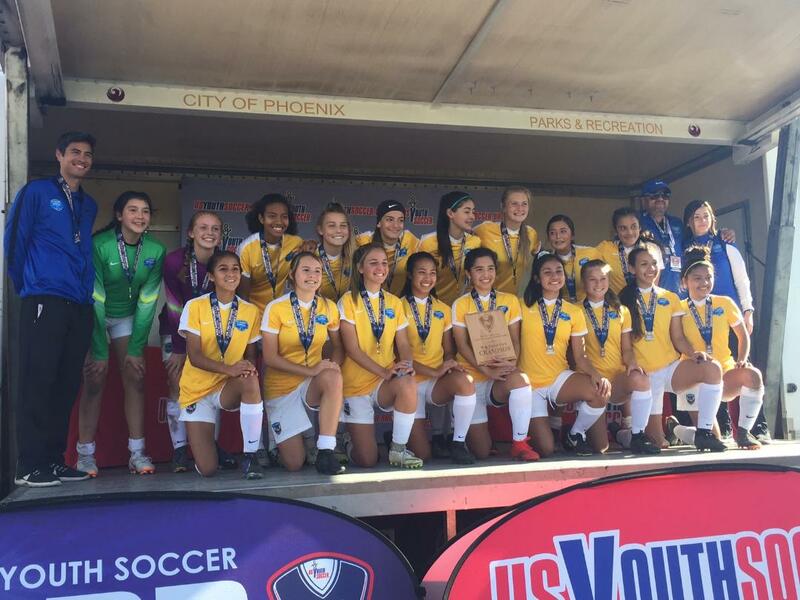 That final victory made Alexa and her 2004 Cal South team the US YOUTH SOCCER FAR WEST ODP CHAMPIONS for the G2004 age group!!! Alexa plays in the Real So Cal-SCV G2004 White team, coached by Sergio Salvadori. Well done Alexa! We are proud of you!! !